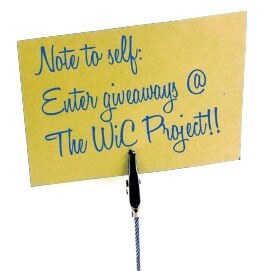 It seemed like many of you liked having the little reminder for the active giveaways on The WiC Project, so we’ll just try to make this a regular Sunday post. Hopefully you find it helpful – if not, please let me know. Good luck!